CYCLISTS on Victoria Bridge will be forced off the main road, if the Brisbane Metro plan goes ahead. The $944 million Brisbane City Council project will expand on the existing public transport network. A business case has proposed removing the on-road cycling lanes from Victoria Bridge. The existing shared path will remain on the upstream side of the bridge, while the downstream will be widened to provide extra “cross-river pedestrian capacity”, but still be closed to cyclists. Pedestrian and cyclist access to North Quay from the bridge will also change via a crossing at Adelaide St, replacing the existing crossing to Reddacliff Place. Bicycle Queensland chief executive Ben Wilson said cyclists “lose out” in the project. “There needs to be a plan to get cyclists safely across Victoria Bridge and what has been offered is inadequate,” he said. 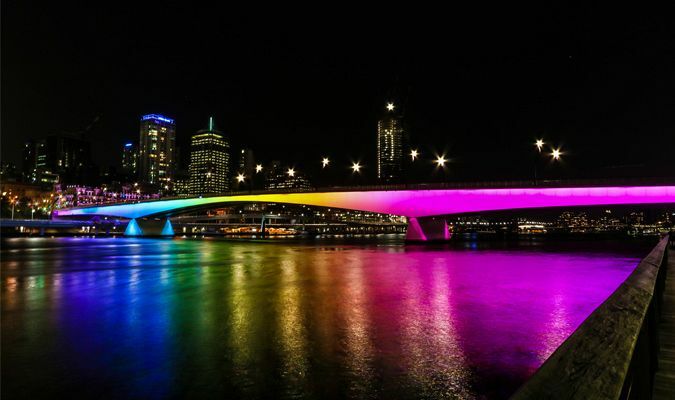 Councillor Jonathan Sri (The Gabba) said it would be a “huge missed opportunity” if the council redesigned the bridge without improved cycle access. The plan is subject to funding and approvals. If approved, construction would start in 2019, with expected completion in 2022. Cyclists have organised a protest on Victoria Bridge on July 22. Search Mass Cyclist Protest: Don’t Kick Bikes off Victoria Bridge on Facebook.